No hidden fees, all classes available for drop in rates or month to month, no long term contract required. Some classes have capacity limits, be sure to pre-register to guarantee your spot. Any questions please contact us. Come join the Southside's newest and hottest group fitness classes around! 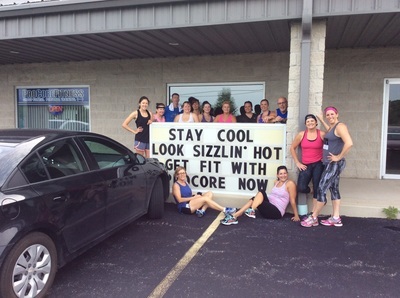 ProCoreFitnesss features quality instructors and a comfortable inviting group fitness studio. Cardio Kickboxing is a combination of traditional cardio and combo of drills will undoubtedly improve your endurance and cardio fitness, tone muscles and shred your abs. Cardio Kickboxing routines are characterized by their high intensity intervals coupled with toning recovery periods to zap calories and define your muscles. Class is choreographed to energizing music. This high-intensity class is a great full body workout, incorporating a broad range of athletic drills. 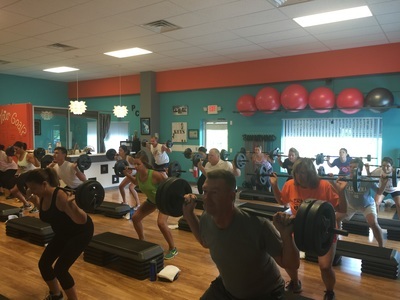 This class takes the participant through a series of cardio and strength training exercises with relatively brief rest intervals in between. The purpose is to keep the heart rate elevated near the aerobic level without dropping off to ensure fast, dramatic fitness results. 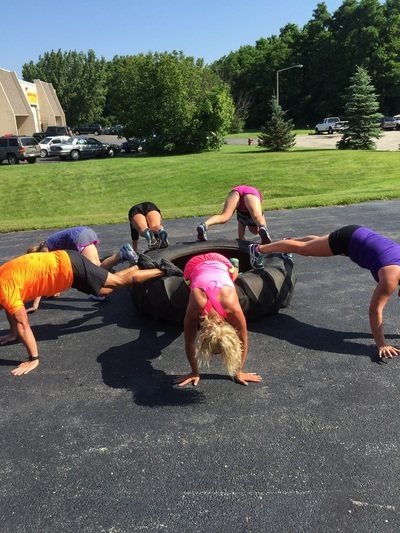 Since the program is fast-paced and offers variety, it can be more interesting than a typical class that focuses on only one aspect (cardio or strength). Strength training class designed for all fitness levels. It will not only build muscle, but improve bone density, burn calories and boost metabolism. During your weight or strength training class, you can expect to burn 400 – 600 calories*, and also maintain a significant metabolism boost throughout the day. *Space is limited based on equipment. This workout is focused on core strength, stability, balance, improved posture and alignment and MORE! We will hit hard abdominal area as well as upper and lower body. No cardio here but you will leave sweating like never before. Non-impact total body workout. Starts with light free weight exercises and moves on to intense, isometric leg work using a body bar for balance, followed by abdominal work. Every exercise includes active stretching to elongate the targeted muscles. This workout will improve your athletic capacity and conditioning but will also focus on strength and flexibility. The instructor will guide you through 20 minute segments of 1. Cardio/Tabata 2. Strength 3. Flexibility. These segments will push your body to maximum!